Sweeping views of the Gulf of Mexico combined with astonishing architecture exemplify this incredible property. 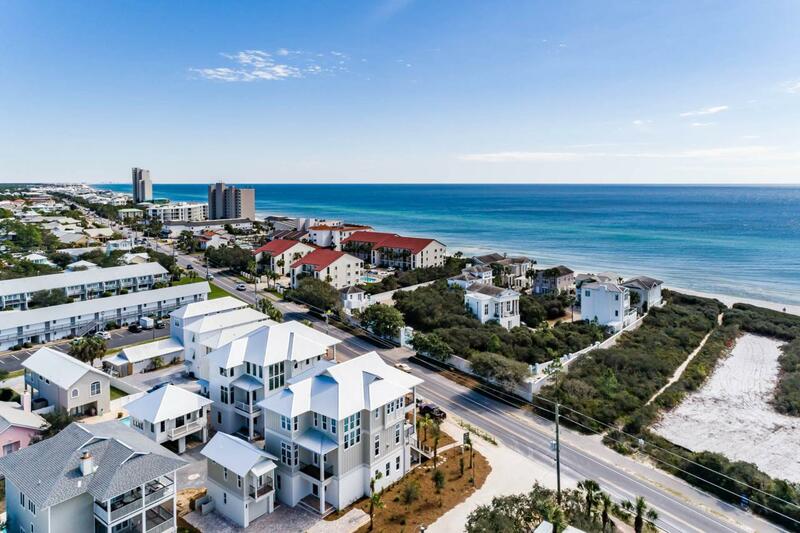 Discover the ultimate beach property conveniently located in the heart of Seagrove Beach. Deeded private beach access puts your feet in the sand within a few steps. Featuring a second-floor pool, multiple living spaces, incredible outdoor living, private carriage house, elevator and ample parking this new construction home will feel like it was custom built for you! Located approximately one mile from Seaside, this estate offers outstanding access to enjoy all 30A offers including the sugar white sands, emerald waters, world-class fishing, first-rate dining and luxury shopping. This exceptionally designed floor plan offers eight bedrooms, seven full and two half bathrooms.On the third level, you will find the remaining bedrooms, a large entertaining room, incredible porch and more outstanding views of the Gulf! The master bedroom features a beautiful vaulted ceiling, Gulf views, porch access, a spacious en-suite bathroom and expansive walk-in closet! The space and finishes of this master suite offers exceptional luxury. Just off the master, you will find an additional living space featuring a wet-bar and porch access. An additional king bedroom and bunk room featuring a built in full and twin bunk; an additional full bathroom is located on this floor. Located north of the main house is the cozy carriage house, ideal for guests who want a little more privacy. This carriage house features a kitchenette, private bedroom, spacious bathroom and covered parking for two vehicles and beach gear storage! This estate would make the perfect second home, permanent residence or vacation rental. Additionally, $290,000+ in projected rental income solidifies the investment opportunity. Do not miss the chance to own this incredible property!